Do you want to promote your fencing service online? If you are a fencing contractor and want to promote your fencing installation services online, then you would need to present your fencing business to your positive prospects in a professional and appealing way to boost your conversion. Using a clean and professional landing page for your business will ensure that your visitors will does not get distracted and can easily contact you for any queries or quotation. 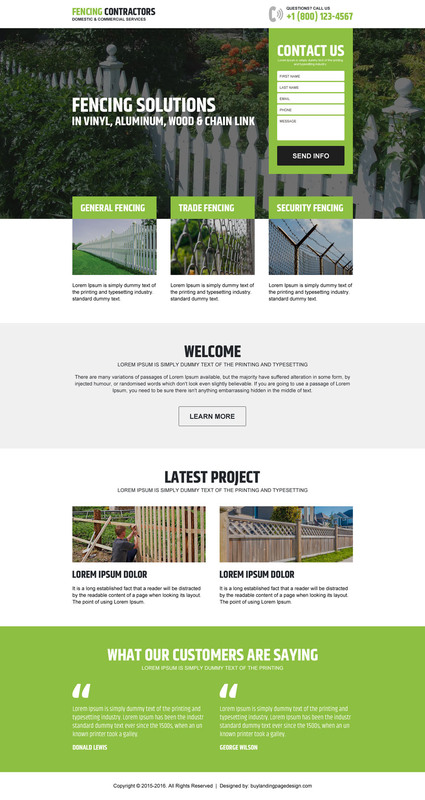 Boost your fencing service and business by using our converting fencing landing page design at a very reasonable and affordable price. Get a free quote for your custom fencing landing page design done at a very quick turn around time.